Broader impact/commercial potential of this Small Business Innovation Research (SBIR) Phase I project is summarized as follows. (1) Social impact: Transportation is the bloodstream of this nation with its level of importance being second to water. This country?s roadways are public use and the PI?s proposed technology is aimed at maintaining a fair and unbiased information infrastructure that satisfies the needs of both automotive and government agencies to fulfill their roles in public use and safety. (2) Commercial impact: The ability for vehicles to identify roadside regulations and guidance will provide several beneficial factors that will help alleviate driver distraction while aiding in additional cognitive awareness and safety. Additionally, wireless capable road signs can provide additional resources than their static counterparts. (3) Technical impact: The project pushes the abilities of ultra low powered devices to extend the idea of location services, thus location dependent information is stored at its source producing almost instantaneous availability. The proposed project worked on further advancing and refining a small electronic device with wireless capabilities known as a roadside unit to meet the regulations of the United States Sign Council (USSC) motorist reaction distance for visual street cues to facilitate safe vehicle responses. Satisfying this requirement involves a novel communication protocol structured around efficient message transmission at ultra-low operating power to quickly detect and respond to moving vehicles with minimal energy usage. The projects communication protocol is designed to use minimal power while maximizing the amount of data throughput to ensure an operational lifespan of a battery powered device for a minimum of 10 years while achieving significant transmission distance. Because roadside infrastructure is standardized there is an opportunity for advanced data management techniques to simplify data transmission and decoding. The proposed system integrates and enhances the current vehicle-to-vehicle (V2V) communication platform by offering another layer of physical object identification. After we’ve finished the 6 months of the NSF bootcamp on taking an academic idea into market; we realized what we where asking is equivalent to install all new road signs world wide! We met with political leaders in CA and the FED DOT to ask about what it would take for technology like DSRC and our Wireless networks to be maintained and installed. It became clear that the cities are not in a place to roll out such technology and that it would take decades to change over such an technlogy. It quickly became clear that what we built had many application and this was not a viable business model. We revisited the drawing board and looked at what we have learned. We conducted research on wireless networks, and from the ground up built a IOT platform on top of TI’s CC and MSP430 line that was capable of lasting month and with more refinement years in the field. 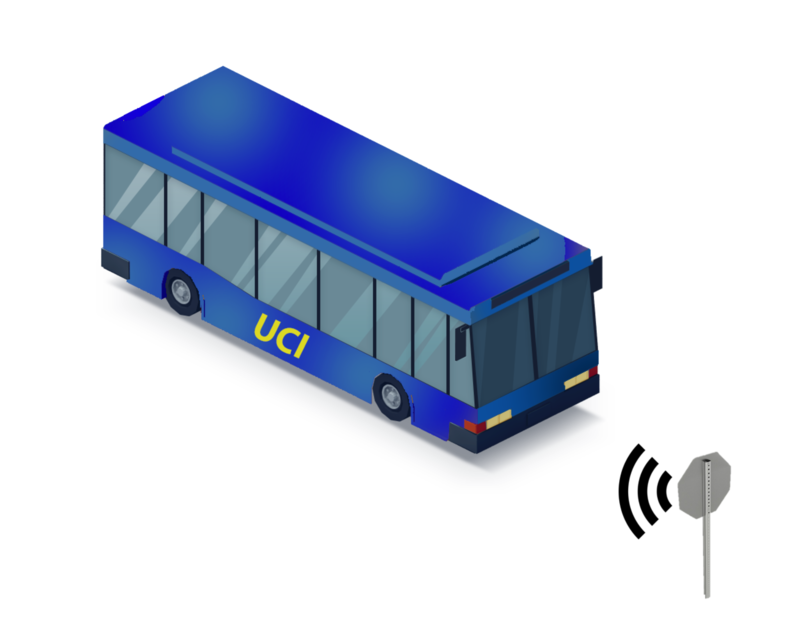 We built the PCBA’s and wrote the software to send information from a roadside unit to a vehicle side unit connected to a cellular modem to automatically send that information back to servers for automatic data collection and post processing. We learned the technical limitation of IOT platforms and technology and developed solution around them to get the distance, reliability and power requirements we desired. From this we evaluated DSRC, Lora, and sigfox as alternatives in the Connected car technology landscape and found they all required large installation efforts to be effective. From this research we are creating a product that allows cars to connect to the current infrastructure without extensive hardware installation. The technology requires minimal maintenance for cities, and allows for a wider range of application. Our solution will allow automakers and other organizations to leverage a new type of roadway data not current available to them, opening up how everyone interacts with the future of mobility. While conducting this grant was instrumental in evaluate a wide range of different technologies with an objective unbiased mindset. We where able to step back and look at what the goals are and avoid many of the pitfalls that plague the vehicle to everything space. Our current solution addresses the future of mobility and now has a strong grasp on what technologies will help achieve that future. We have talked with Governmental regulators, cities, and policy makers, along with automotive companies, possible and current competitors in the space to realize the potential our technology offers really will drastically change how all interested parties interact with the roads.